I have said before that I am a monogram-aholic. 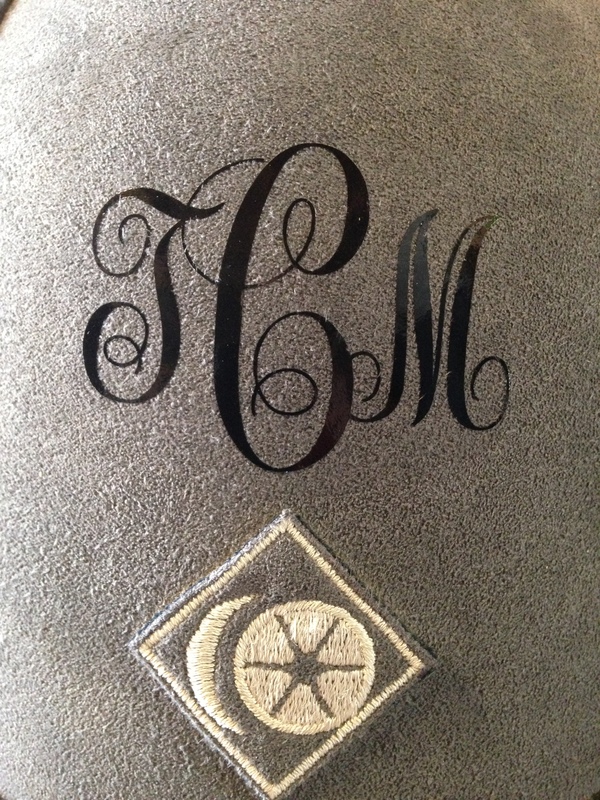 If I could monogram every part of my life, I would. Now, thanks to Personally Preppy, I can! I first found the business on Instagram and then on Twitter, I immediately followed them and saw post after post of their “Personalized Preppy Helmet Monogram“. This was the first time that I had seen someone monogram their helmet and it took me .2 seconds to realize that I NEEDED to have one. A few weeks later I went ahead and ordered my own. The website was incredibly easy to order from with plenty of different options. First you choose what size you want the monogram to be, anywhere from one to four inches and every half inch in between. Next, you choose what pattern you want, either a circle or vine style. Lastly, you include your initials and your chosen color (there is over 25 to choose from!). I ordered my helmet monogram in the two and a half inch, vine style in glossy black for my Charles Owen JR8 schooling helmet. Four days later it arrived in a hand-written, lime green envelope with instructions on how to apply it and a signed thank you card. Even though the stickers were originally designed for “any smooth, hard surface and looks especially dapper on a GPA or Samshield” it applied to the Charles Owen fabric perfectly. All I had to do was peel the back off, place the monogram onto the helmet, rub it to encourage the sticker to actually stick, and carefully reel off the front paper. The whole process took less than five minutes and “VOILA!” my helmet was sporting monogrammed perfection! Since then, my helmet has been in the scorching heat as well as a downpour and the monogram is still stuck on there just like when I first applied it. 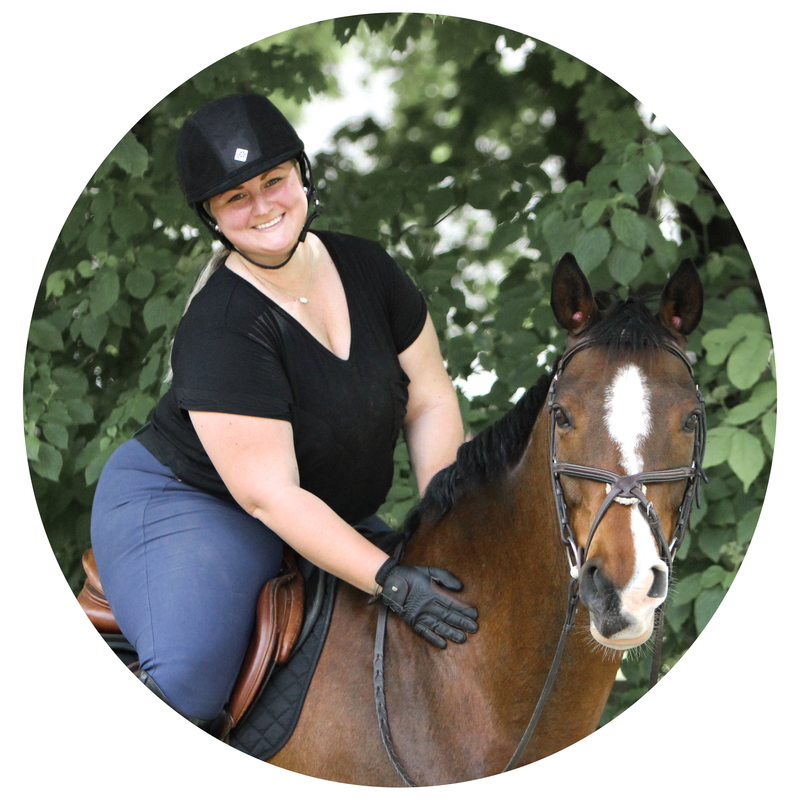 I absolutely will be ordering another for my show helmet along with a few of the heat transferable monograms for my breeches! 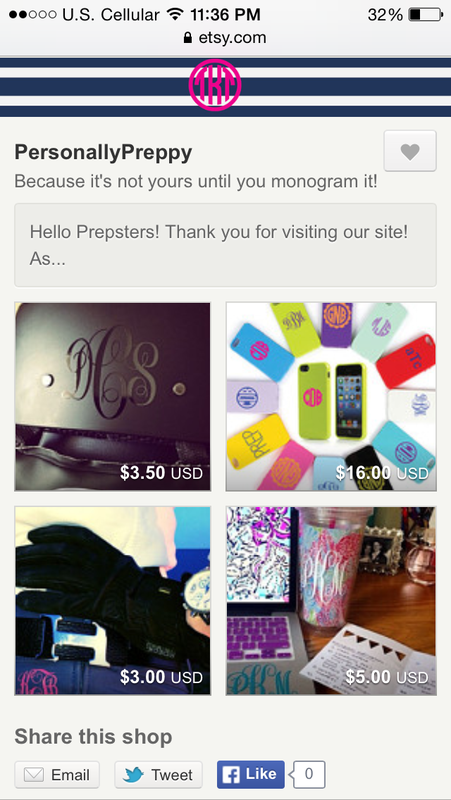 I am in love with this site and my helmet monogram, and I can’t wait to stick my initials on everything I own! I have a Personally Preppy obsession too! How big is your monogram? jk I see it now! Sorry!